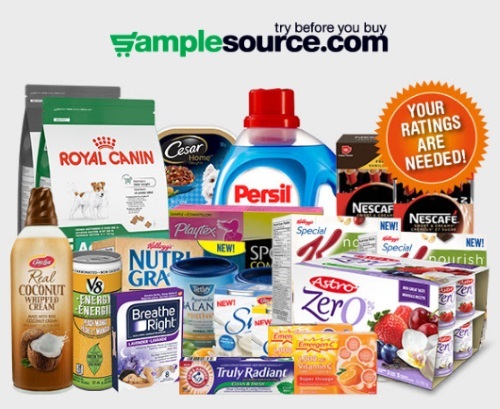 Did you get a Samplesource Free Sampler Pack this past Fall? If you did, look out for an email from Samplesource today with a survey! Take a moment to complete a short survey about the samples that you tried. Your opinions matter! It is important for Samplesource to know what you liked, and what you didn’t like, especially about the products you tried so that they can make sure to continue to provide great samples for you to Try Before You Buy! The survey is only open for a short time - so please answer as soon as possible! If you did't get a Sampler Pack the next sampler is coming out in the spring, keep a look out for that offer, I will keep you posted once I hear anything. The link is in your email, check there for the offer.